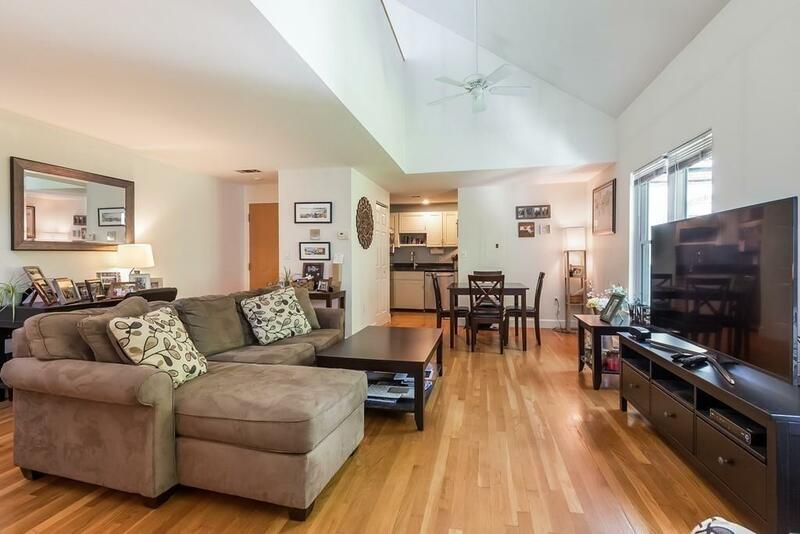 Large 1 bed + Loft, penthouse condo in Cobblestone Landing. 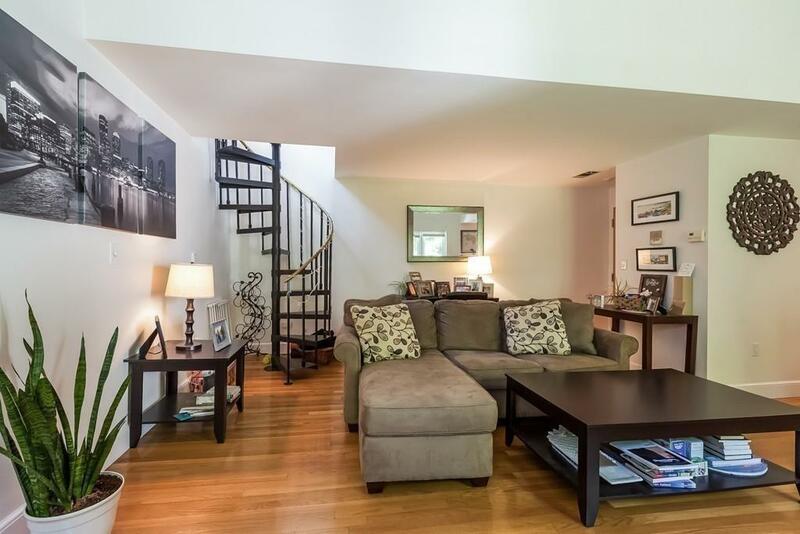 Features include vaulted ceiling with skylight, & a loft, that overlooks the main room. It has excellent versatility, (office, guest room, study), a condo owners dream space situation. All new air conditioning, hardwood floors, double-hung widows, & washer/dryer. Stainless steel appliances and granite counter tops, with pantry space, complements the units open concept living/dining area. 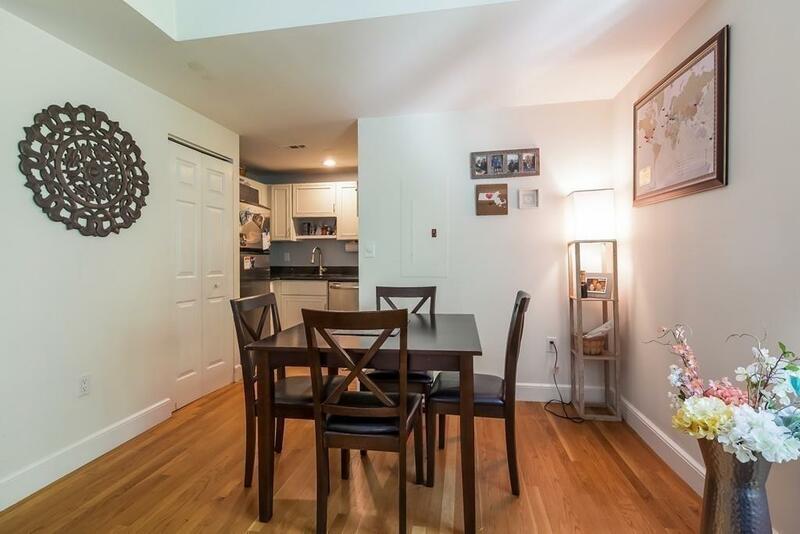 Additional amenities in this professionally managed unit, include renovated common areas, common outdoor space with garden, a deeded garage parking space, a large, 8 x 8.5 deeded storage space, and, one pet is allowed! 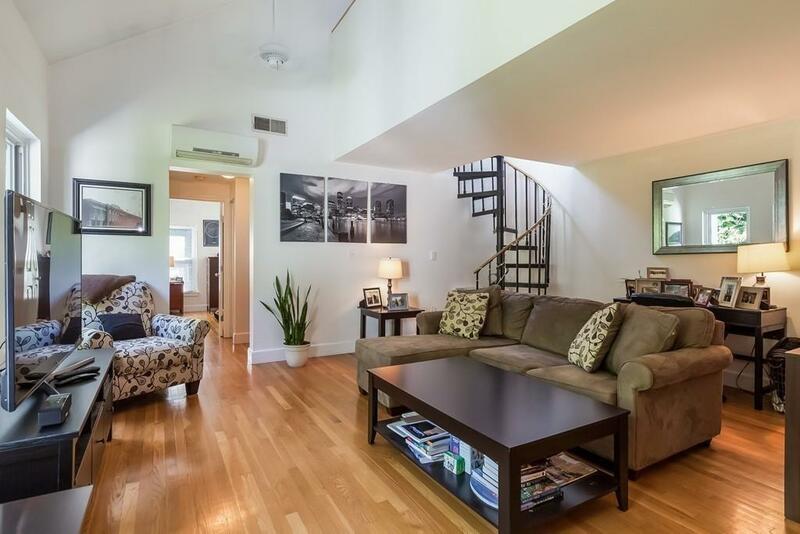 This sunny home includes all the charm of its Historic Charlestown neighborhood with it markets, shops and restaurants, while being central to Downtown, the North End, Cambridge, Assembly Square and the newly opening Encore Hotel and Casino. Easy and immediate access to route 93 & public transportation. A must see!!! Listing courtesy of Michael Lyons of Compass. Listing provided courtesy of Michael Lyons of Compass.